Former staffer sues Congressman Blake Farenthold for hostile workplace. A former employee of Congressman Blake Farenthold (R-Tex.) filed suit against her old boss on Friday, alleging she was the victim of a hostile work environment, gender discrimination, and ultimately fired in retaliation for raising concerns about her treatment to her superiors. The suit brought by Lauren Greene—first reported by the National Law Journal—paints an unflattering picture of Farenthold and his chief of staff, Bob Haueter. Greene says she started on the two-term congressman’s staff in Feb. 2013 as the new media director after three years working elsewhere on the Hill. Greene also says Farenthold “regularly made comments designed to gauge whether [Greene] was interested in a sexual relationship.” Here’s more on how she says she was treated by the congressman and his chief of staff Bob Haueter. On June 12, 2014, Plaintiff had a breakfast meeting with Farenthold to discuss Haueter’s hostile treatment of her. During that meeting, Plaintiff complained to Farenthold that Haueter was bullying her and treating her in a very hostile fashion. 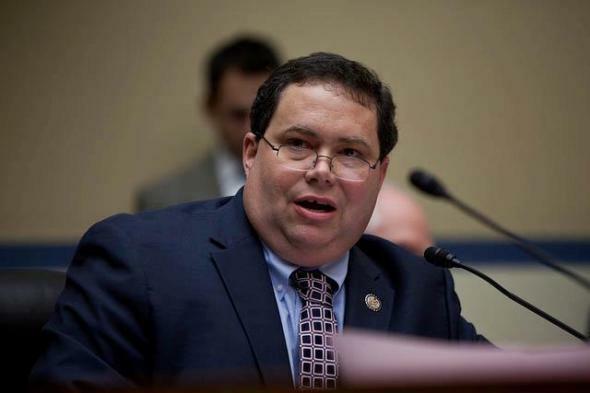 Farenthold replied that Haueter was known to be condescending toward women on the staff, and then paid empty, lip service encouragement for Plaintiff to stand up for herself… Plaintiff was fired less than one month after she complained about the hostile work environment to Congressman Farenthold. *Update, Dec. 16, 2014: This post was updated to attribute the first reporting of Rep. Farenthold’s domain name registration to BuzzFeed.